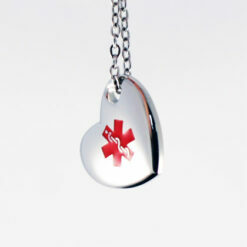 This beautiful single heart medical alert necklace can be engraved with your important medical information. This polished stainless steel single heart medical alert necklace comes with a chain of 18″, 20″ or 24″ in a special presentation/gift box. The pendant can be engraved with 3 lines of text. You can engrave up 18 characters on the first line, 14 on the second line and 10 on the third line. This includes all spaces. 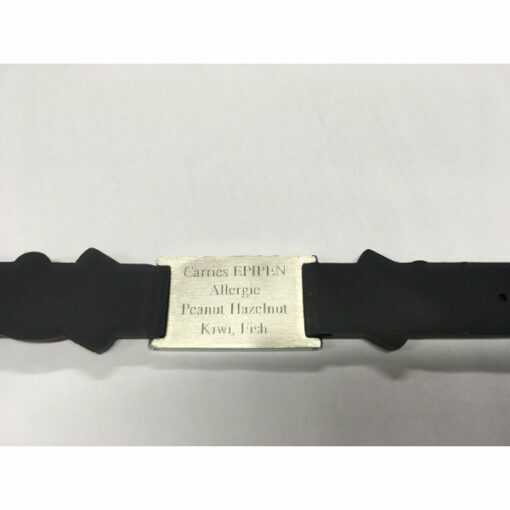 Our engraver will make the text as large as possible, but the more text you put on, the smaller the text will be. We recommend that you try to keep the text as brief as possible. 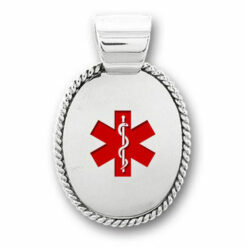 We can engrave the pendant for you. Our jeweller uses a diamond engraving toll to cut into the surface for a discrete effect. Colour infill is not used. For an example see above image. 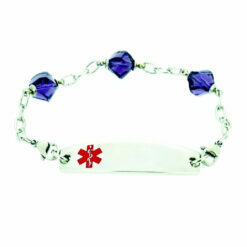 Or you can purchase without engraving and have your local jeweller/engraver engrave your details for you. for engraving, just check the personalisation box and also fill in your message in the space provided. 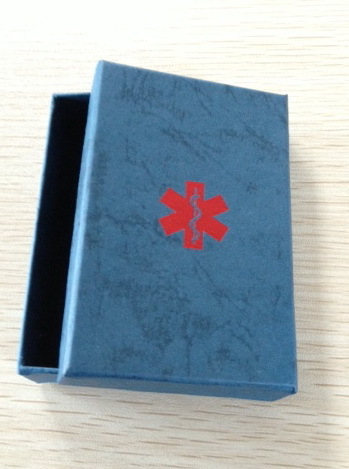 or you can purchase without engraving and have your local jeweller / engraver complete the details for you. The simple design makes it suitable for day or night wear. Made with polished stainless steel. Engravable with 3 lines of text. Comes with a presentation/gift box and link chain of 18″, 20″ or 24″. Width: 24mm at widest point.